Greenhouse ventilation is an important part of maintaining the integrity of your plants and crops. 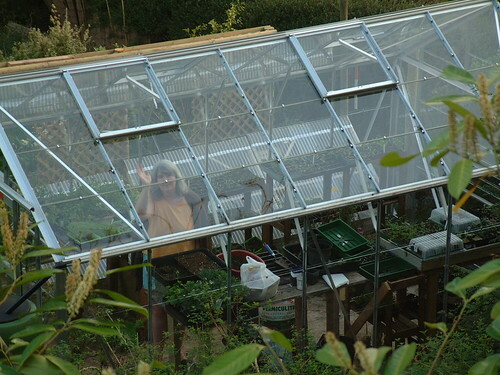 Portable greenhouses are used to maintain the desired environment for plant growth and continue to yield more crops despite the changes in weather outdoors. Portable greenhouses are designed to regulate temperature, sun, and shade and deliver the ultimate environment for your plants. The best way to maintain your greenhouse is to understand the different ways to bring proper greenhouse ventilation to your structure. Innovations are constantly being made to deliver more to portable greenhouses. And, as portable greenhouses become more popular, greenhouse ventilation options are being improved. Agriculturists and horticulturists put a heavy focus on providing the right temperature and humidity for optimal growth. What Are the Right Means of Greenhouse Ventilation? Proper greenhouse ventilation provides cooler air to decrease humidity and allow plants to grow. A well-ventilated greenhouse has fewer pollutants and can greatly affect your crop production. Pollutants come in the form of gases or pathogens that thrive in still air conditions. Proper greenhouse ventilation is important to move pollutants out of your structure and keep carbon dioxide from killing off your plants and crops. So, what are your means of ventilation? Artificial greenhouse ventilation helps your greenhouse obtain satisfactory airflow through a mechanically operated ventilation system. Greenhouse ventilation can be achieved using exhaust fans at the ends of your walls. Air is allowed to enter by a motorized shutter. But it should be frequently checked during the winter months to make sure there is no drafts. In warmer months, you need to be sure you provide enough air exchange to keep your plants thriving. Exhaust fans can be mounted to higher portions of end walls. They come with different speeds and can be controlled by different thermostats for optimal greenhouse ventilation. If your outdoor air is of high temperature, you may need to use evaporative cooling devices to prevent excessive heat from causing your plants to wilt. Shading materials, paint-on materials, and screens can be used to change temperature. A fan and pad system can eliminate excess heat and help cool down your structure. When you use mist cooling devices, they deliver tiny drops of well-filtered moisture that don’t leave mineral deposits or lead on your plants. There are different advantages and disadvantages to evaporative cooling devices and mist cooling devices. Talk to your portable greenhouse dealer to find out the best greenhouse ventilation option for your needs. Since portable greenhouses are a great option to help maintain your plants and crops all year long, many customers take advantage of the variety of sizes and options we have for portable greenhouses. When you make sure you use proper greenhouse ventilation, you can rest easy knowing that your plants and crops are on their way to optimal growth.